SPONSORED: EGOSTHERSKINCARE WITH PURE ORGANIC PRODUCTS LAUNCHES NATION WIDE. 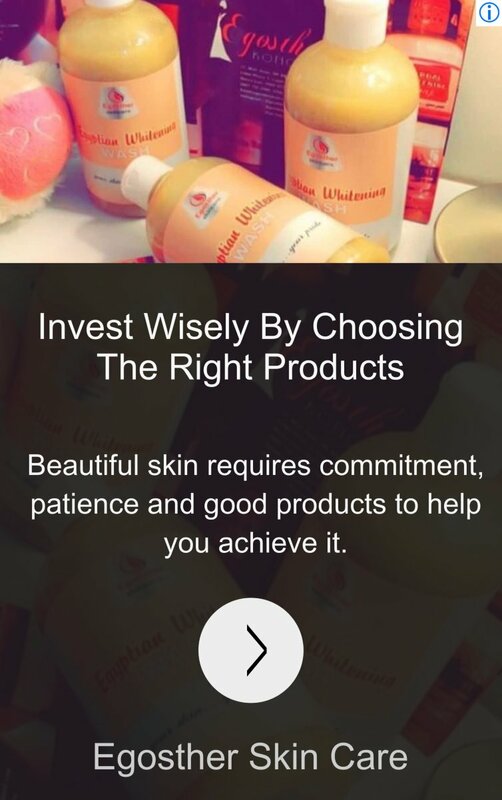 They are specialized in all kinds of skin issue with pure organic ingredients,invest wisely by choosing the right products . Also having a healthy skin is important not just I want to be white white , pls learn to take care of your skin . .
Pls visit the spa once every month , for exfoliation and steaming very important so as to enable whatever you put on your skin works perfectly .